Help Autism Santa create the first ever Autism Christmas. Autism Santa has a birthday coming up, March 24th. Instead of a gift for himself he is asking for toys for children on the autism spectrum. April is Autism Awareness month and Autism Santa is creating the first ever "Autism Christmas" by mailing as many toys as possible in April all to be opened April 25th Here is your chance to be part of this magical event! Join us in creating the first ever Autism Christmas! Let's help create Autism Christmas. .. Follow the link below. . This man has done So much for the Autism community. He is an inspiration to many. 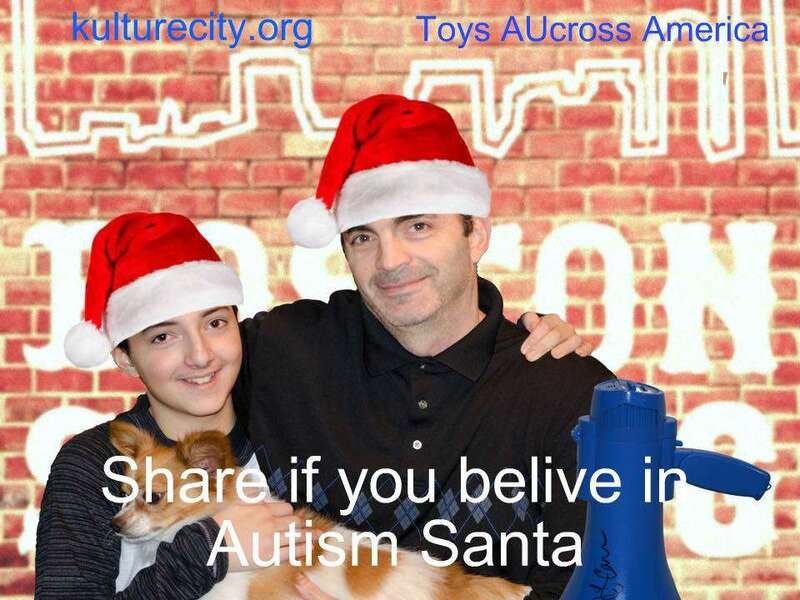 Won't you please help him to create the first ever Autism Christmas? Autism Santa is the best. Won't you please help him? He has helped so many autistic kids that would otherwise be ignored. Please help for our invisible children. Please help this amazing non profit out! Give autistic children a smile and voice!!! Please help Autism Santa! We want the world to know about Autism Christmas! Help out autism Santa. He is ausome! Hi Ellen!!! We would be honored to have you join Michael AutismSanta Miller to create the first ever "Autism Christmas"!! Michael sends toys to children on the Autism Spectrum all throughout the year!! Help us make Michael AutismSanta s dream come true. He's more than just a dad mailing trains. He's every autistic child's superhero. Smile after smile. Autism Santa is amazing! Won't you please help him out, Ellen? Kids like my son work so hard all year & Autism Santa helps to bring a smile to their faces. Please help Michael AutismSanta Miller in starting Autism Christmas. They have help children on the Autism Spectrum all over the world. Just a dad mailing toy to put smiles on children faces that not accepted in every day life. Please thank about helping out. Please help us spread awareness for this disorder. Thanks for all that u do!! Want to be part of something amazing, Ellen? Join in with Autism Santa for the first ever Autism Christmas. 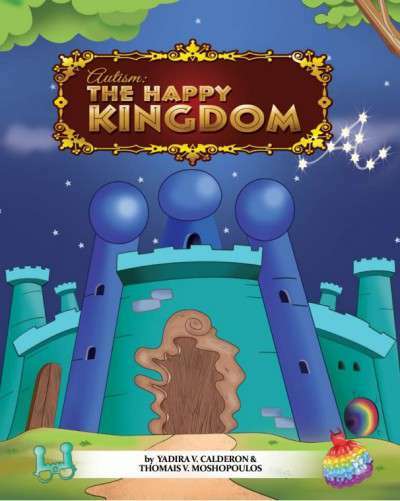 He has helped bring smiles and a voice to our kids with autism through toys and Ipad. Be part of history and show your support for autism awareness. 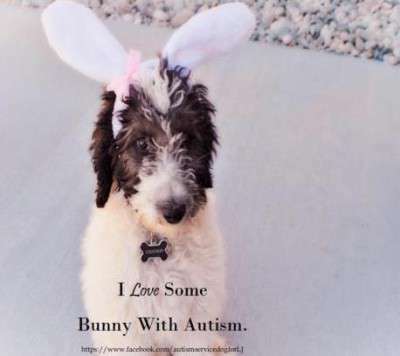 I have 2 children on the spectrum and I think that it is great that one person is making a difference! Who doesn't want to be part of Autism Chirstmas!! Please Ellen help him autism Santa is amazing. This man has done So much for the Autism community. He was "just a dad mailing trains" and now he is doing this. He is an inspiration to many. Won't you please help him to create the first ever Autism Christmas? What am amazing man and what he works so hard to do! Come help out AustimSanta bring smiles to kids with autism. Wonderful man and his family doing wonderful things for those with Autism. Your help would bring joy to some amazing children who struggle everyday. Ellen! Please help this great and generous non profit organization put even more smiles on some children's faces with Autism Christmas! ! This man is changing the world, one child's smile at a time. He touches the hearts of many and I appreciate all he does. This is one Organization you can be proud to promote!! Please consider supporting children with Autism!! Please help make autism Christmas a success! Please help, bring smiles to children on the spectrum!! check it out, you won't be disappointed!!! Ellen, I know you have a big heart that loves helping others. This is the way Michael "Autism Santa" Miller live his life. He is devoted to helping children on the autism spectrum. As a special needs parent himself he chose not to be a victim of circumstance, but rather a trail blazer and pillar of our community. Please help him make his vision become a reality by donating toys to his latest project, "Christmas in April". Please show your support for the autism community, Michael's vision, and Toys Aucross America. God bless!! Ellen please help us create the first ever Autism Christmas! This man is an inspiration and has helped so many people! Please let him continue to help others! Kulturecity Toys Aucross America is simply AUSOME! Your help would allow both Kulturecity and Toys Aucross America achieve so much, specifically the first ever AUTISM CHRISTMAS! Please help the amazing people of this organization to make the lives of autistic children a little brighter! This all started with a dad mailing trains and has grown to this wonder dad helping autism families by putting smiles on the faces of children around d the US! IT'S A GREAT CAUSE! Defently something to talk about! Help bring autism Santa his christmas! Let's make this dream come true!! Awesome unselfish organization that helps to bring smiles where they can sometimes be rare in the autism home. I vote for them. This man has been amazing for children on the autism spectrum. He is a blessing to the Autism community. We love Autism Santa! Hi Ellen please help Autism Santa Michael AutismSanta is try to start Autism Christmas in April seeing how it is Autism Awareness month.You would be helping put a smile on are children that are blessed with the gift of Autism. Please help Autism Santa create a very merry Autism Christmas. What better way to support Autism Awareness Month? Please help Michael "Autism Santa" bring joy to kids for Autism Christmas in April. This man gives so much and has come so far. He started out as just Dad mailing trains. Now he works with KultureCity, and great things are being accomplished. This is an amazing man that has helped so many children. He started as a dad sending trains and now he is hoping to have a hug event benefiting so many children with Autism, he calls it Autism Christmas. My sons life has been enriched by this man. Think of how much more joy he can bring to children if he can just get a little help. It just takes one toy. Thank you everyone for the continued support! #autism #santa is #amazing Would love to see on #ellen. #autism , #toys and #amazing God bless you all!